40 sk. from the upper left corner tied by cds. 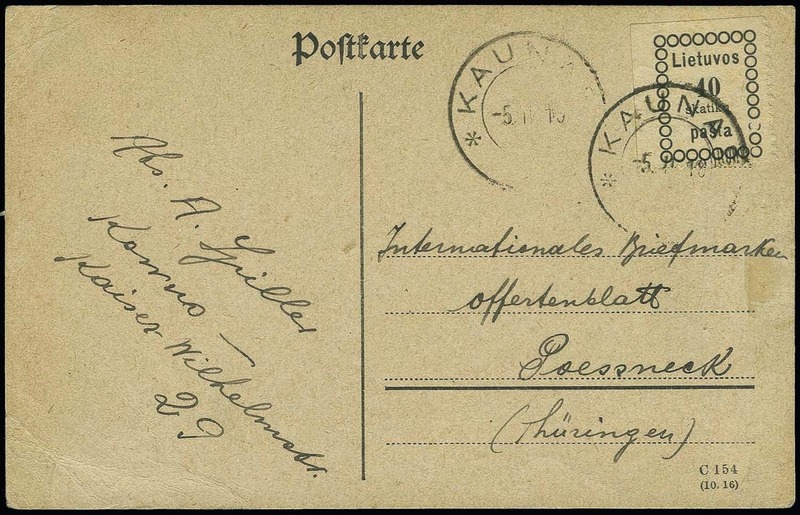 "KAUNAS -5.II.19" to postcard addressed to the "Internationales Briefmarken Offertenblatt", few creases, otherwise fine.